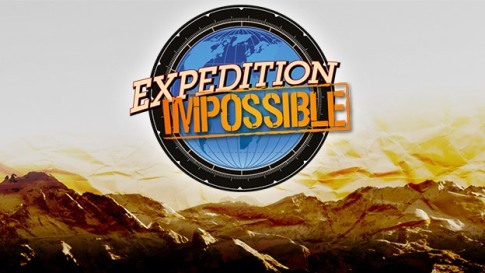 ABC’s latest venture into reality programming, “Expedition Impossible,” premiering Thursday, June 23, has the hallmarks of a Mark Burnett hit: an exotic locale, demanding challenges and teams viewers will root for. So 13 teams of three, including “California Girls,” “The Football Players” and “No Limits” (which has a blind man) were brought to Morocco. In all they traveled some 2,000 miles, beginning their Moroccan adventure in Merzouga, going through the Sahara Desert and over the Atlas Mountains, and ending in Marrakech. Dave Salmoni hosts. Teams face challenges each of the 10 weeks, and the last to complete one is eliminated. Burnett’s sense of drama, history, endurance and loyalty are put to use. Contestants had to be fit. Contestants sky-dived, swam in rivers, kayaked, climbed mountains, and rode stallions, camels and donkeys. Not surprisingly, growing up in Rockaway Beach, New York firefighter Rob Keiley was a stranger to camels. He signed up with two lifelong pals, Kevin Coursey and Mike Egan, also NYC firefighters. As firefighters these guys are in shape and accustomed to lugging around heavy loads because their gear weighs so much. They trained by running on the beach and running up and down stairs. “Expedition Impossible” isn’t a big payday. Each member of the winning team receives $50,000 and a Ford Explorer. Which is precisely what the firefighter says he had. “We were doing these epic things doing things you never thought you would do,” Keiley says.